According to this week's news, US Secretary of State has removed the Republic of Cuba from the list of State Sponsors of Terrorism, as the 45-day period for Congressional objections having expired, and no action was taken. That being said, compliance officers should stress to their bank customers that this is a removal of Cuba from the terrorist facilitators list, not a deletion of the terrorist organizations from OFAC and other sanctions lists. Cuba may have persuaded State that it no longer promotes terrorist organizations, but it has not expelled their members from Havana, nor has it closed their offices. Be alert, and thoroughly check any and all individuals who are inside Cuba, when it comes to your bank clients' moves to conduct or establish businesses inside Cuba. You do not want any FARC, ELN or ETA agents as your clients' business partners, local representatives, or agents in Cuba. You also need to be aware that Hezbollah, Hamas and several other smaller Palestinian terrorist groups, all have relationships with Cuba, and have agents resident there, and they communicate with their other cells, in Venezuela, where they are raising money through drug trafficking. Disregard Cuba's statements about how it no longer supports these terrorist organizations; those groups are still operating in Cuba. WHY DID GLOBAL BANKS MOVE $150m IN FIFA BRIBE MONEY ? "For the good of the game." If you have not yet read the complete text of the 166-page indictment in United States vs. Jeffrey Webb, et al* the FIFA case, in which many senior FIFA officials, and others, are charges in a massive indictment, with multiple counts of RICO, money laundering and wire fraud involving $150m, you do not know that only one bank, of the more than twenty specifically identified in the charges, refused to complete wire transfers of large sums for the defendants. There are others, located in Switzerland, New York, and Paraguay, to list a few, but all of these banks failed to inquire into the circumstances of the transactions, negligent acts that I call compliance malpractice. Senior officials of any NGO, non-profit, or similar entity, are considered to be Politically Exposed persons, or PEPs, as are individuals closely connected to them, but it appears that bank customers who were FIFA officials, or officers in other related sports entities, were given a free pass to move huge amounts of money, without question. None of the above banks have been charged with any crime, or regulatory violation, but one must assume that they are under the microscope somewhere, due to their role in the FIFA case. One wonders: didn't their compliance departments wonder what all these large wire transfers were for ? Readers who wish to review the complete text of the indictment can access it here. The document is searchable, through a feature appearing on the webpage. * Case No. : 15-CR-0252-RSD-RML (EDNY). Investors who placed orders for securities, or purchased real estate, through Alaskan native Gary James Lundgren in Panama, did not know that he had a dark past in the United States, which they would have easily found in any due diligence investigation. Lundgren is engaged in the sale of securities from his offices in Panama, although neither he, nor any of his corporate entities, is licensed by Panama's SMV to engage in securities brokerage, a violation of Panama's securities laws. The pollution case, which is styled "State of Washington, Department of Ecology vs. Gary Lundgren and Ketron Island Enterprises, Inc*.," involved Lundgren's sole ownership of a corporation (sewage treatment plant) that illegally discharged raw sewage into Puget Sound. The State agency found that his promises to remedy the pollution were not made in good faith, and ordered him to dismantle the facility, which he failed to do. He appealed an administrative ruling, and a $250,000 fine, to first the Superior Court, which found him personally liable, and finally to the Court of Appeals of Washington, that state's highest court. The Court of Appeals affirmed that Lundgren was personally liable, pursuant to the Responsible Owner Doctrine, which holds that a corporate officer can be held criminally liable, where the officer stands "in responsible relation to a public danger." Lundgren conveyed the land containing the sewage plant, to a corporation, which agreed to assume liability for the fine, but Washington records, and reliable sources, show that Lundgren owns that entity as well; he was merely seeking to shift financial responsibility to a third party. through a bogus "sale." Had any of the American and Canadian expats, who have been defrauded by Gary Lundgren in Panama, through his theft of bearer shares representing ownership of Panamanian corporations that owned real estate of the victims, simply conducted a due diligence investigation**, they would have been warned not to do business with this fraudster, whose Panama City lawyer, Alcides Bartolo Peña, has made a career out delaying justice for years, when the victims seek legal redress for their injuries. This demonstrates how critical due diligence is, prior to engaging in any business transaction, whether commercial or personal. Mr. Lundgren, who is now refusing to come to the front door of his Panama office, and speak with any of his victims, would have been identified to them, as a major problem, early on, if they had done their homework. * The decision can be accessed here. Readers who are attorneys, and have access to either the official or unofficial decisions of Washington, may find them here: State Department of Ecology v. Lundgren, 94 Wn.App. 236, 971 P.2d 948 . ** Additionally, a due diligence search will also uncover a reported sexual harassment decision that establishes Gary James Lundgren as a sexual predator; we shall cover this topic in a future article, but that information alone makes Lundgren an unacceptable risk for any business transaction. it is publicly available on the Internet. DID BANKS WHERE HASTERT HAD ACCOUNTS DROP THE BALL ? The Federal indictment of former Speaker of the US House of Representatives, J Dennis Hastert, on charges of Structuring to Avoid Reporting Requirements, and lying to Federal law enforcement agents, reminds us that the bank accounts of politicians, even former or retired ones, deserve special attention from compliance. Here, Hastert was engaged in paying off an individual against whom he had committed some unspecified misconduct, probably while a high school teacher or coach, but the payments could very well have involved criminal activities. Hastert's conduct, which occurred after he had left the House of Representatives, for a lucrative new career as a lobbyist, was discovered after the FBI & IRS investigated the possibility that he was the target of a criminal extortion plot. Apparently, he was paying the money, said to be a total of $3.5m, on a voluntary basis, but we do not know what the details are at this point. (1) Hastert withdrew $50,000, fifteen times, from his US bank accounts, over two years, before his bankers raised any questions about the circumstances of the withdrawals. This sounds like compliance malpractice, in my book. (2) Then, in response to their inquiries, he structured his future, regular withdrawals, so that each one would be under the $10,000 threshold for reporting. However, his bankers still let this happen for an additional two years, before a criminal investigation was initiated. What happened here, I wonder ? One wonders whether there was a special relationship between Hastert, and his bankers, that interfered with the filing of CTRs, or with immediate notification of his actions to bank counsel for investigation, and also to law enforcement. Prominent former politicians often are coveted by bankers, not just for their business, but for the potential referral of lucrative business of their lobbying clientele. Did customer relationship managers trump compliance concerns here ? To be fair, we do not know whether Hastert alternated his cash withdrawals among these banks, as those details are not specified in the Indictment, not whether any CTRs were timely filed. Unfortunately, should he enter a guilty plea, we may never know these important details, but we hope that compliance officers at financial institutions whose clients include present or former politicians govern themselves accordingly, lest they also find their banks' compliance shortcomings exposed in a public forum, with probable reputation damage as the result. * Research note: The Indictment is not yet publicly available on the government website, Public Access to Court Electronic Documents, but it is on the site of the US Attorney's Office for the Northern District of Illinois, should any reader need to access it. The case number does not appear on that image. ARE YOU BANKING ANY FIFA OFFICIALS ? (1) That the hidden bribes were funneled through third parties. (2) That some of the payments were in cash, and I mean specifically US currency, and that had to be obtained from a bank, MSB, or other NBFI. (3) That staff members were involved, even unwittingly, in the movement of bribe money, communications regarding the payments, and deletion of emails or other records. (4) That accounts in offshore financial centers were employed to hold the ill-gotten gains. (5) Most importantly, that there are other, not yet indicted, FIFA officials out there. Are any of them possibly your clients ? Prudent compliance officers should be asking customer relationship supervisors whether there are any football skeletons in their closets. Does anyone at the bank routinely get fantastic seats, complimentary, at football games, from clients ? What about sports marketing companies ? Do any specialize in football ? If you are showing any as clients, you should be performing enhanced due diligence upon the entities and the individuals forthwith. The Securities & Exchange Commision, which has obtained a verdict against Fort Lauderdale businessman George Levin, whose hedge fund fed millions of dollars of investor money to Scott Rothstein's Ponzi scheme, is seeking to minimize the amount that the Court will award, in a final judgment for money damages that could reach $181m. Since we have previously detailed Levin's position, we shall now summarize the SEC's recent response. (1) Levin has failed to meet his burden of demonstrating that the Disgorgement amount is unreasonable. (2) The Disgorgement should not be reduced by any amount recovered from a third party. (3) The defendant's inability to pay is not relevant to either Disgorgement, or prejudgment interest. (4) The arguments against prejudgment interest fail. (5) The argument that Levin followed legal advice failed, because he either ignored or failed to follow counsel's advice. (6) Levin's argument, that the investors will likely be repaid is without merit. (7) Levin's argument, that the civil penalty, or reduce it to his purported net worth ($497,000), are wrong. (8) Levin's cooperation, in other cases, is irrelevant to the civil penalty he should pay. (9) An evidentiary hearing is not necessary to dispose of the judgment issue. When the Court enters its ruling on the judgment amount, our coverage of this case shall continue. The latest calculation quoted in the unfolding corruption investigation in the Republic of Panama is an educated estimate that the Martinelli Government embezzled at least three billion, five hundred million from government sources. This figure exceeds even the guesstimates previously appearing in local media. Though Ricardo Martinelli himself came into office on a purported reform platform, and many Panamanians felt that, since their new president was himself a wealthy man, the chances of corruption were slim. Martinelli is now believed to have illegally enriched himself by more than a billion dollars during his presidency, now being characterized as a kleptocracy by anti-corruption prosecutors, who have charged many members of his former administration. How far will the prosecutions go, and will there only be true reform if those in the new reform government that are themselves guilty of past corruption be themselves turned out of office and arrested ? There are those who want the current president charged for his past dark deeds, and those Panamanians also want the entire Supreme Court of Justice removed for fixing cases for bribes. I am not sure that there are enough beds in Panama's prisons to house the vast number of corrupt PEPs, whether presently in, or out, of office, but true reform can only come after all the major offenders are tried, in a very public way, and imprisoned. Otherwise, Panama's sordid status as a den of official government corruption will continue ad infinitum. It might be easier to appreciate the gravity of the problem if we use newly-available images. First of all, the international shipping lanes, between Northeast Asia, and Africa & Europe, pass dangerously close the Spratley islands, where China is building military airfields, on artificial islands, and claiming rights, to the exclusion of all its neighbors. They are vital lifelines for international trade. 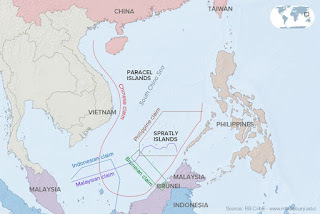 Second, the overlapping territorial claims, which are complicated by the EEZ, Exclusive Economic Zones, and United Nations Convention on the Law of the Sea. 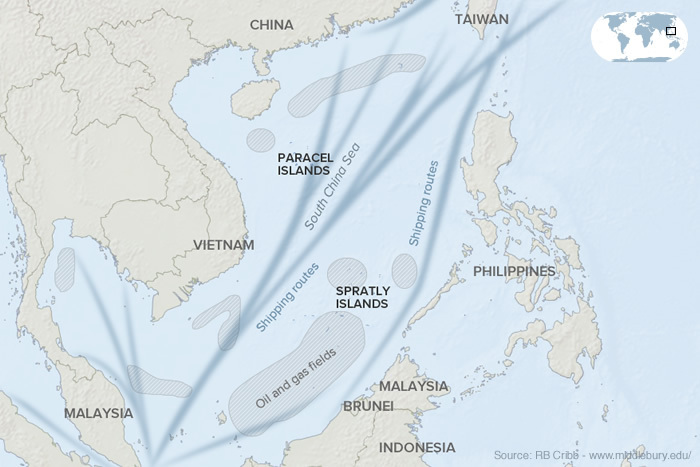 China's nine-dash line claim, which is not supported by international law, forms the basis for its aggressive moves, and has raised tensions with its neighbors, as well as the United States. The shipping lanes must remain open, and the Right of Innocent Passage allowed, lest there be major dislocations in the economies of Japan and the Republic of Korea,Taiwan, and even Hong Kong. Any Chinese interference with the shipment of goods to global markets could result in a worldwide recession, or worse, and could plunge the region in armed conflict. As the depth of the massive Panamanian corruption scandal becomes known, even longtime observers of the local corruption scene are amazed. The latest: PAN, the government-run national assistance (help) program, collected $10m for bogus helicopter flights that were never conducted. These "fantasy" flights never took place, according to the records of the country's civil aviation authority. (2) Travel of government staff members. 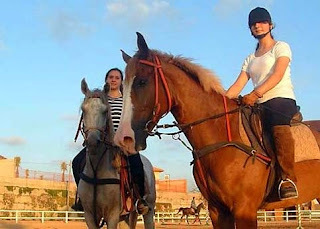 (3) rescues, and other unspecified activities. (C) Angels Wings Life Team Inc.
(D) Level One Venture Everlast Aviation. Were there kickbacks paid to corrupt PEPs, or did the PEPs actually control the aviation companies ? As more details become available, we shall update our readers. Disregard the publicists and spin doctors, employed by Panama's former President, Ricardo Martinelli, to broadcast that story that he is residing in the United States, and is busy writing his memoirs. Nothing could be further from the truth, especially those photos that he is using to demonstrate that he purchased a Lexus automobile in North Miami. (1) Martinelli is NOT in the United States, and he has not come into the country. (2) He is NOT living in the Atlantis Condominium on Brickell Avenue, and he has not been seen there. 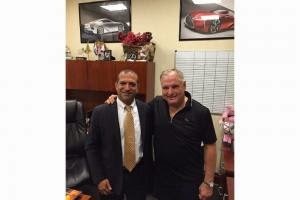 (3) He has not purchased a luxury automobile in Miami this year. Don't you know about how users can employ Photoshop to create a false image ? The consensus of opinion is that the fugitive ex-president, who is now suspected of acquiring at least a billion dollars, in bribes, kickbacks, insider trading, diverted government funds, and other crimes, is hiding out in Paraguay, where he purchased an estate. One wonders how many other corrupt PEPs are there with their godfather. Paraguay has no extradition treaty with the Republic of Panama. China has protested American surveillance flights over the islands in the South China Sea where it is filling in reefs & shoals, and constructing military airfields, and warned the United States about entering the twelve-mile limit around those reefs. The United Nations Convention on the Law of the Sea (UNCLOS) only gives nations maritime rights over actual islands, not filled-in territory, and the islands must be able to support human habitation, and economic activity. China's posturing is therefore not supported by law. Additionally, the Peoples' Republic is relying upon the so-called nine-dash line in support of its claims. Trouble is, those territorial claims were made, in the 1940s, by the Republic of China, also known as Taiwan, and never assigned or transferred to the Peoples' Republic. The problem is the US intends to press the issue, on the grounds of freedom of navigation, and the Philippines and Vietnam will suffer increases in their Country Risk if there are any incidents, due to their proximity. (1) Eyewitnesses report that Turkish intelligence services have been supplying arms & ammunition to ISIS/ISIL. While arming opposition forces in Syria is supported by most Western countries, Turkey is playing with fire with ISIS, for its radical Islamist leadership could, after conquering Syria, choose to move into Turkey, to expand its "Caliphate." (2) In a recent speech, which unfortunately did not appear in most Western media, President Recep Tayyip Erdogan was extremely critical of the countries of the Middle East, for becoming involved in multiple armed conflicts, and directed the Muslim countries to focus on reconquering Jerusalem, and he did not specify East Jerusalem* only. This appears to be call to battle, which could result in not only an additional war in the region, but Turkey, which is a NATO member, becoming involved with Israel. NATO is duty bound to defend Turkey from attack. How will this play out ? (3) Turkey has become the headquarters for Hamas' overseas operations, especially its efforts to expand into the West Bank. Palestinian terrorists captured or killed by Israel, have been supported by Hamas' Turkish operations center. What if Israel attacks this base, or seeks to assassinate the Hamas leadership there ? (4) Erdogan has made statements which indicate that he longs to return to the glory days of the Ottoman Empire. 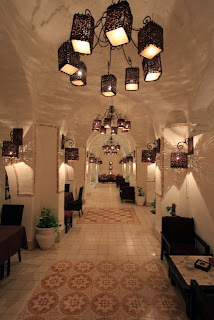 If you know your history, you remember that, prior to the First World War, it extended to Jerusalem, Mecca and Medina. That sound like a backhanded threat to Saudi Arabia, as well as Israel. While we cannot predict that any, or all those Turkish missteps will rebound against Turkey's economy, or force it into an incident that develops into war that will damage its infrastructure, armed forces, or ability to export goods, it might be prudent to keep a sharp eye on President Erdogan's saber-rattling, for Country Risk purposes. * East Jerusalem, and the Old City, fell into Jordanian hands when the cease-fire was declared, at the end of the Israeli War of Independence, in 1948, and it was thereafter annexed by Jordan, together with the West Bank, also known as Judea and Samaria. 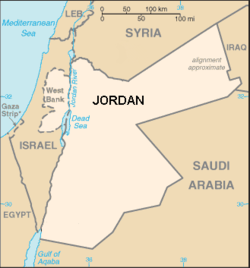 Between 1948 and 1967, when Jordan occupied these areas, there was no movement towards an independent Palestinian state in the West Bank and Jerusalem. Palestinian claims that Israel "occupies" those territories is not supported by historical fact; the 1948-1967 borders were cease-fire lines, not national boundaries. When the PLO was formed, in 1964, it made no claim to these territories, but solely to Israel. Evidence of massive corruption, committed by former Panamanian President, Ricardo Martinelli, while in office, continues to stun Panamanians. Cristóbal "Tobin" Salerno Balestra, who ran Cobranzas del Istmo, SA, a Panamanian company that collected delinquent taxes on behalf of the General Revenue Department, has testified that he delivered bags of cash, each containing $400-$600,000, every three months, to the offices of former President Martinelli's Super 99 supermarket chain. Salerno's company earned an estimated $45m during a four year period; he is being held under house arrest, on order of the Corruption Prosecutor's Office. Salerno also testified that he gave Martinelli a check for $900,000, as a kickback for the lucrative business, awarded to him by Martinelli, in a no-bid contract. Martinelli's present location is unknown, though his publicists swear that he is living in the United States. He even has posted "evidence" of his purchase of a luxury automobile in Miami, though most believe he is in hiding on an estate he purchased in Paraguay. ARE YOU UNKNOWINGLY BANKING ANY OF GAZA'S 1700 HAMAS MILLIONAIRES ? 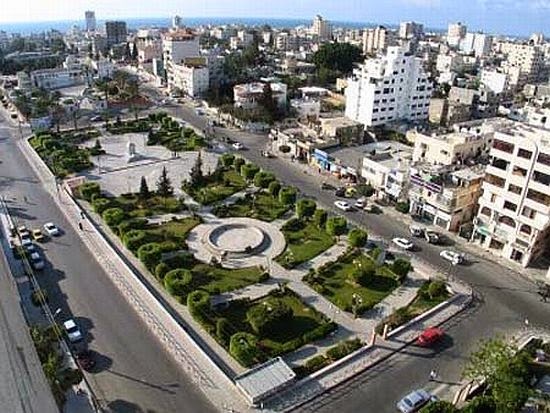 Lost in the media coverage of the extensive, and thus far unrepaired, damage in Gaza, as the result of last years's armed conflict between Hamas and Israel, is the disclosure that there are a large number of millionaires living in Gaza. An investigative report, filed by an Arabic news website, located in London, estimates that there are at least 1700 millionaires in Gaza. Considering that these wealthy individuals are, by necessity, affiliated with Hamas, are you unwittingly banking any of them ? Contrary to what you see on television, there is wealth and affluence in Gaza, and the number of Hamas millionaires is growing. Their number has doubled in the last six years, according to the investigation. How do these PEPs get rich ? (1) It is appropriated by the senior Hamas leadership, which is riddled with corrupt PEPs, who siphon off a portion of all official contributions, received from outside the Territory, by governmental and NGO donors. Some of the most senior leaders are even known to be billionaires. (2) Many of the smugglers who covertly moved goods, including arms and ammunition, into Gaza through the tunnel system, became wealthy from the sheer bulk of goods they transport. (3) Hamas taxed smuggled goods, which provided funds for some of the government services which it provided, but one must assume that even a portion of that money was diverted by the PEPs who collected, and had custody, of the tax proceeds levied upon the smuggling operations. (4) Donated cash, usually consisting of US Dollar currency, which is smuggled into Gaza, to provide material support for Hamas, is pilfered by intermediary PEPs. (A) Are you receiving funds, for one of your existing accounts, from Arab banks who maintain branches in either Gaza or the West Bank ? (B) Does your depositor have a place of birth in what is now Israel, or either of the two territories ? Remember, he probably has a Jordanian, Egyptian or Syrian passport, but he is Palestinian. 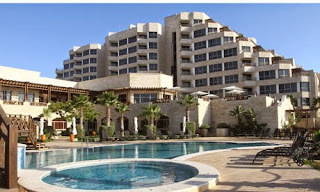 (C) Does your depositor show a residential or business address in Gaza ? If the answers to these questions indicate that you may be banking a Hamas millionaire; Perform an enhanced due diligence investigation forthwith, and exit any client believed, by the preponderance of the evidence, to be Hamas. To do otherwise invites regulatory sanctions and reputation damage. Gary James Lundgren, the Alaskan native who has the been the subject of numerous articles on the blog, detailing his fraudulent activities in the Republic of Panama, and violations of the securities laws of Panama, Canada and the United States, has threatened to bring a civil action, to shut down this blog, and seek money damages from this writer. Lundgren, whose many Panama City properties, acquired through fraud and deceit, are no longer rented by eager expats, and he has stopped paying interest monthly to his investors; he will not come to the door of his office, to meet with unhappy clients in person. Mr. Lundgren, who has not been seen in the United States for years, probably because of his massive tax evasion, as well as his money laundering activities, most notably for the convicted Colombian Ponzi schemer, David Helmut Eduardo Murcia Guzmán, or his securities fraud violations, is welcome to bring an action here in the United States, for he will them be required to appear here for deposition, and there is a strong possibility that he has been indicted here, meaning that he would be arrested upon arrival. Even if he succeeds in bonding out, he still must appear for deposition, where his life of crime in Panama, and in Canada and the US, will be exposed. File your suit, Mr. Lundgren, for the defense to libel is truth. 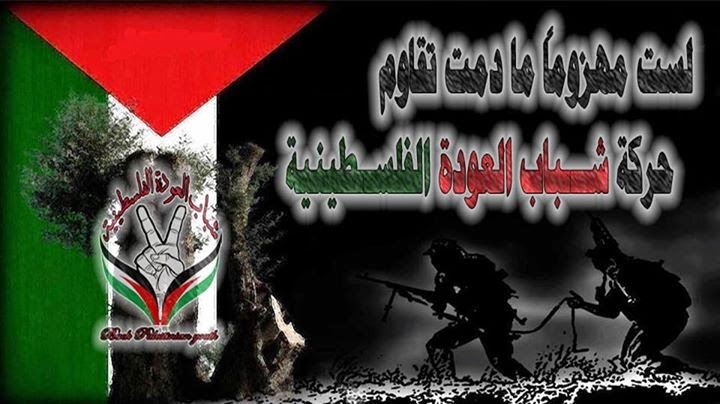 The Galilee Forces, identified as the new "military wing" of the Syrian-based Palestine Reform Youth Movement, is reportedly engaged in combat, in Syria, with Hezbollah, against Opposition elements. The organization's declared aim is to take on Israel's military in the Northern Galilee, after the Syrian civil war is concluded, though even Hezbollah openly fears that the conflict is destined to continue for the foreseeable future. Its leader is said to be named Fadi Al-Mallah a/k/a Abu Al-Fidaa. The Galilee Forces, known in Arabic as Quwat Al-Jalil, has also gone by the title Galilee Brigade, or Liwa Al-Lalil. Considering that it is working closely with Hezbollah, an SDGT, and possibly the Government of Syria, also sanctioned, bankers should familiarize themselves with the two Arabic names, appearing above, associated with the Galilee Forces. DID ISIS SEIZE CASH AT THE BANK IN RAMADI ? I can only find one bank listed for Ramadi, Bank Al-Andalus, and I hope that its staff had the presence of mind to evacuate the bank's store of cash early on, long before the Iraqi Army, which outnumbered the ISIS troops ten to one, cut and ran, in the face of an imminent attack. Did ISIS again tumble upon a cache of currency, including US Dollars, like it did in Mosul ? 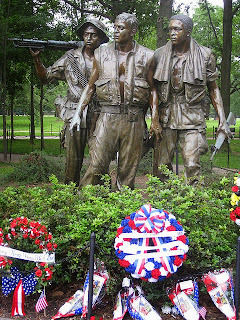 Note: America is not the only country that lost soldiers in combat at Ramadi. That's the British Army in the photo above, beating the Ottoman Turks at the Battle of Ramadi, in 1917. The bottom fell out of the Venezuelan Bolivar (BsF), also known as the Strong Bolivar, this afternoon. At this writing, you can see above* that the unofficial rate, as of 3:00 PM local time in Venezuela, is 421.45 bolivars to one US Dollar (USD$). This hyperinflation will drive legitimate businesses in Venezuela to alternate sources of dollars, including illegal entities, such as narcotics traffickers, smugglers, and money launderers. Those sources, in turn may call upon their own sub-sources for additional dollar currency. Please regard any requests for large amounts of bulk cash, from bank clients who have never before asked for such volume, as they may be tempted to profiteer from the Venezuelan financial crisis, and may be engaged with OFAC-sanctioned individuals or entities. They may also fall victim to fraudsters, or place themselves in physical danger, by dealing direct with criminal elements. Be alert for any client conduct or course of action that is inconsistent with its trade or business, or account history, especially if the client is a Venezuelan national, or corporate entity. Inquire of any client whose recent activities could constitute currency profiteering, to insure that there is nothing occurring that endanger the client, or your bank, and give no Venezuelan client an large amount of currency without making diligent inquiry into why they need all that cash, if they are not a cash-intensive business. If you are the individual who is responsible for assessing Country Risk, and your bank, and its clients, are financially exposed in the Middle East, it is important that you consider the real risks of partition of those countries in the region that are engaged in armed conflict and/or major political dissent, and whose population consists of more than one religious sect, or ethnic group. 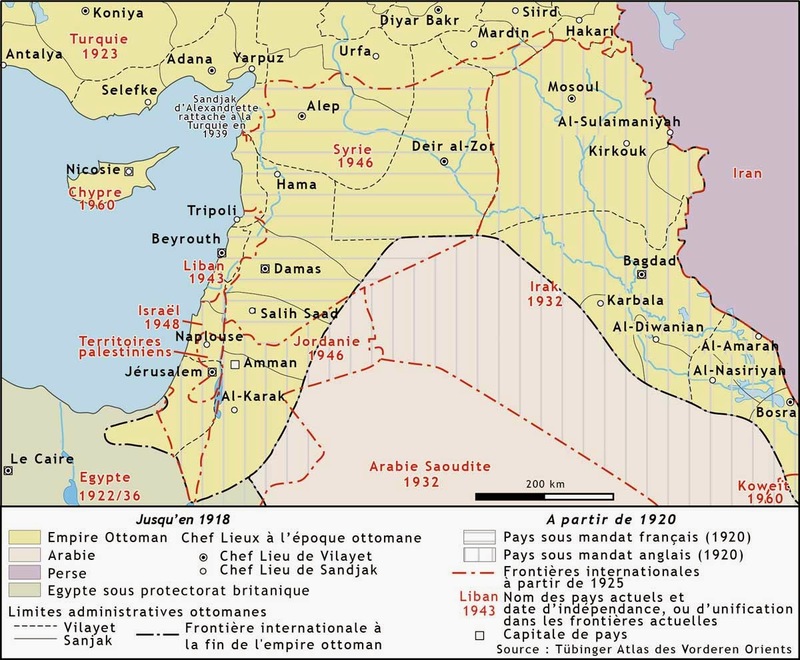 When, after the end of the First World War, the United Kingdom and France divided up the territory of the former Ottoman Empire, they made a fundamental error in failing to draw international frontiers that would result in national entities consisting, as much as possible, of populations with similar religious or ethnic backgrounds. 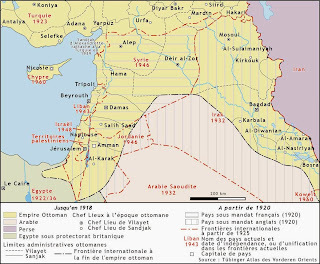 Let us face facts: Iraq, Syria and Lebanon were all artificial creations, with mixed populations. This was a colossal error, and one or more of these cut-and-paste nations may fragment, leaving entities that have financial exposure in the dust, literally, this year or next. Should you be an officer at a financial institution, NBFI, or broker-dealer, whose clients, or the entity itself, has extended credit, has pending transactions or trade, or investments in one of those countries cited above, there is a chance that de facto partition, or dissolution, could occur. Sovereign debt will not survive the death of a nation; nor will private companies whose existence depends upon a national, and not a regional marketplace. There are multiple reasons why the fragmentation of a nation will leave creditors of all shape and sizes, empty-handed. If your financial institution has exposure, branches, investments, major client footprints, or any other type of connection to countries that could be abruptly split up, as a part of the new political reality, or fall to terrorist aggression, you should, early on, seek to minimize your exposure, and cut your potential losses, where at all possible. Iraq & Syria could come apart; Lebanon could explode into Sunni, Shiite and Maronite Christian sectors. All this is possible; so be prepared, with a contingency plan for the future, but also look to shave your total exposure now. Journalists in the Republic of Panama have been warned not to write any negative articles about former Panamanian President Martinelli, although he is facing no less than twelve separate criminal cases, that are all being handled by anti-corruption prosecutors. These threats are believed to have come from members of Martinelli's political party.There have also been warnings, conveyed to the journalists to refrain from any negative coverage of Martinelli's former Minister of Commerce & Industry, Ricardo Quijano. Both Martinelli and Quijano fled Panama, to avoid criminal prosecution, several months ago. These threats are reportedly being taken seriously, especially since Quijano is feared in Panama, due to rumors that he was responsible for violent acts against Panamanians who have opposed him, or exposed his corruption. Major Panamanian media outlets, however, are continuing to offer full coverage of the corruption scandals that have named literally all of the members of Martinelli's former cabinet, since they left office. If you were distressed to read my article about how Mahan Air, the Iranian airline that transports Hezbollah agents around the world, and assists the IRGC in shipping arms & ammunition to Syria, used Iraq-based Al-Naser Airlines to front for the purchases, evading sanctions, read on. The Treasury Department sanctioned Al-Nasar, using its counter-terrorism authority, on May 21, 2015. Al-Naser, which has facilities in Iraq, Dubai, and Jordan, allowed Mahan Air to perform a successful end run around the sanctions that prohibit the transfer of aircraft to Iranian entities. You may access the complete text of the press release here*. WHO SENT RICHARD CHICHAKLI TO MIAMI ? After his conviction in Federal Court, Richard Ammar Chichakli, the Syrian-American accountant who is considered to be Viktor Bout's former partner and money launderer, was transferred, via a very unsavory method known to criminal defense lawyers as diesel therapy*, to the Federal Detention Center, in Miami, Florida. 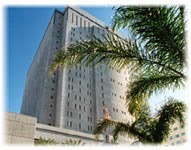 This facility is primarily used for pretrial detention, or brief post-trial confinement. This makes no sense, from a correctional perspective. Chichakli was convicted in US District Court in New York; his appeal has been filed before the Second Circuit Court of Appeals, which also sits in New York. The court-appointed counsel, who will be handling his appeal, is also in that state. Considering that there is most certainly an available bed, somewhere in the northeastern United States, his transfer to Miami, where coordination with his attorney will be difficult, will interfere with his ability to assist his attorney. I am no friend of Mr. Chichakli; he and Viktor Bout moved arms and ammunition, to insurgents battling legitimate governments in Africa and Asia, and possibly elsewhere, and I do recall that he was a difficult inmate in the Federal facility that was confining him in New York, before trial, but he claimed that his defense was deliberately hampered by BOP actions. Punishing him by shipping him off to a location remote from his appeal only demonstrates to the public, and specifically to the legal community, that fighting for your right to defend yourself at trial can have consequences. Remember, Chichakli is a US citizen; he will not be deported after his sentence is completed, unlike Viktor Bout. Also, he only has two years remaining on his sentence, due to his pre-trial confinement poeriod. He was sent to yet another detention center, which is very restrictive, and not a Federal Correctional Institution (FCI), even if his weapons background disqualifies him for a minimum security facility, such as a prison camp. I cannot help but wonder whether these circumstances occurred because Chichakli, in his days as an arms trafficker with Bout, acquired information, about foreign activities of certain agencies of the US Government, whom he worked with, that might prove embarrassing, if revealed to other inmates,should he be in General Population. Those questions have been asked before, regarding his partner, Viktor Bout, who is in a penitentiary with convicted terrorists, that specifically denies its inmates the ability to communicate with the outside world. One final note: Chichakli's sentence could very well be completed before the appeals court rules on his case. * Diesel therapy is what happens when a Federal inmate incurs the displeasure of the Bureau of Prisons, or the US Attorney's Office where he was tried and convicted, or even the Attorney General of the United States, and someone in a position of authority wants to make a point. It is often considered to be a punitive and unjustified measure. The prisoners' route, from the place where he was incarcerated, to his final destination, where he will serve at least part of his sentence, is circuitous, often taking indirect paths that land the prisoner in out of the way sub-standard county jails, for an extended period of time, and place him in direct contact with inmates in higher security classifications, and who have been charged with serious crimes, or crimes of violence. It is unpalatable at best, and can expose white-collar prisoners to dangerous situations. The Chinese Navy attempted, eight times, to warn off a US Navy surveillance aircraft that was operating in the South China Sea this week, monitoring the construction of military airfields on land reclaimed by China in the contested Spratley Islands chain. 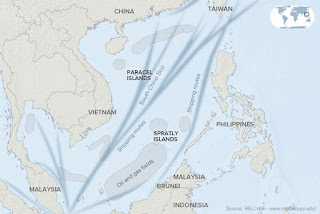 This Chinese assertiveness could not only eventually impact Country Risk for Vietnam and the Philippines, but also the freedom of navigation for all those consumer products from Japan and Korea that must transit the sea lanes there, en route to markets in Europe, the Middle East & Africa. Japanese and Korean companies, unable to reach their usual markets, could fail, and their countries' economies be severely damaged. Compliance officers who are charged with periodically updating Country Risk should be looking at South China Sea events on a regular basis, lest they be surprised by rapidly unfolding developments that impact China's neighbors in a negative way. As more details emerge, regarding the strategies & tactics used by most of the members of the Martinelli Cabinet, in their billion dollar insider trading scheme at Financial Pacific, to defraud investors, it becomes obvious that this was a carefully-planned operation, designed to hide all aspects of the funneling of money, to purchase Petaquilla Mining Ltd. stock in advance of the release of favorable information on the company's gold mining operation. 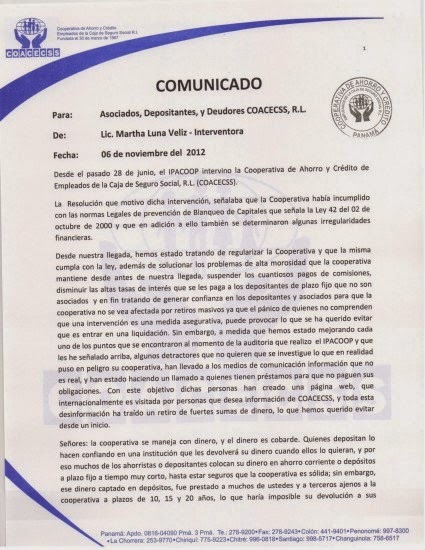 New information verifies that the fraudsters used the facilities of Caja de Seguro Social R.L, more commonly known as COACECSS, a Pamanian credit union and cooperative, to move funds. 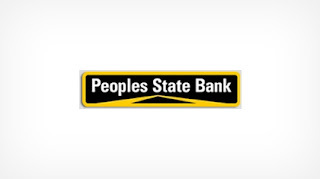 Coacecss, being a credit union, is outside the jurisdiction of the Superintendent of Banking. Credit union financial records, implicating Ricardo Martinelli, and virtually all of his ministers in the acquisition of Petaquilla stock, were destroyed after the participants earned their massive illicit profits, and then-President Martinelli ordered that the entity be placed into "Administrative Intervention," the Panamanian equivalent of liquidation, during which additional incriminating evidence was removed from the record of the entity. Another tactic employed was the use, by the conspirators, of high-limit credit cards issued by Financiera Finangente, which is controlled by the family of then-Minister of Commerce & Industry, (MICI) Ricardo Quijano. To facilitate this fraud, Quijano was instrumental in having Ley 81 passed by Panama's legislature; this law gave Money service busineses (financieras) the ability to issue credit cards. (1) Quijano was instrumental in having a $20m government loan project funded directly to Financiera Finangente. (2) The ministers, and other participants in the insider trading operation, purchased their stock, using these Finangente credit cards. (3) Finangente illegally used the $20m it had on hand, for the loan project, to pay for the stock purchases. had been received, years before. The sources were Ponzi schemer, David Eduardo Helmut Murcia Guzmán, and illegally retained after Murcia was extradited to Colombia, and illicit funds from corrupt Venezuelan PEPS. Ricardo Quijano designated David Plata, first cousin of Ignacio Plata, the discredited former Central American head of a major American credit card company, vice president of Financiera Finangente. David Plata, who was formerly with MultiCredit Bank in Panama, had an important role in the credit card aspect of the insider trading operation. Neither Financiera Finangente, nor any of its officers, or Quijano, has been charged with any criminal activity in Panama, and many Panamanian wonder if those powerful individuals, who profited from their crimes, will succeed in their efforts to prevent criminal charges being filed, and thereby cheat justice. 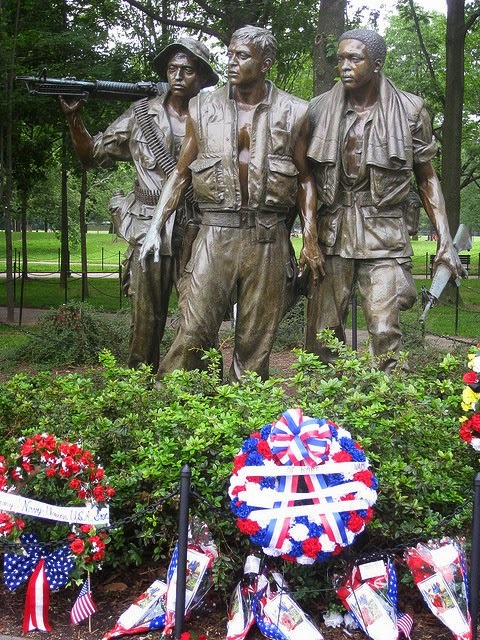 Widespread reports, to the effect that American authorities, have already, or will imminently, file money laundering and cocaine trafficking charges against some of Venezuela's most senior PEPs, including National Assembly President (Speaker) Diosdado Cabello Rondón, and several ranking military leaders, should be a wake-up call for American bankers who are still servicing Venezuelan PEPs as clients. Defectors, who are now in the US, and cooperating with American law enforcement agencies, have reportedly supplied critical information and evidence. The risk factors of banking any Venezuelan PEPs, at this point, are at unacceptable levels, for you do not know which ones are engaging in money laundering. Inasmuch it is not known who has been, or will shortly be, indicted in the United States,, and where the evidence will lead, should any of those arrested cooperate against their co-conspirators, there are no safe Venezuelan PEP clients at this point. This means that the prudent move is to exit all such client relationships as soon as possible. Even low-level government officers could be facilitating money laundering operations of their superiors. The appropriate risk management response to these pending indictments is to in sure that there are no Venezuelan government officers, employees, military officers, heads of Venezuelan Government-owned companies, charities, and even NGOs that maintain their principal offices in Venezuela. This may sound like an extreme action, but no American financial institution needs the negative publicity of being publicly linked to a money laundering operation, because you can be sure that much of the narco-profits are finding their way into the continental United States, and you do not want that type of business to be discovered in your bank. The continuing investigation, in the Republic of Panama, into the Financial Pacific/Petaquilla Mining Ltd. insider trading scandal, where government ministers, among others, reaped an obscene amount of illicit profits, have revealed that the amount of the fraud was in the billions of dollars, not millions, as had been earlier thought. The crime was orchestrated by the now-missing former Minister of Commerce and Industry, Ricardo Quijano, through his family's money service business, Financiera Finangente, which is reportedly owned and operated by his son-in-law, but controlled by Quijano. Quijano has not been seen in Panama for several months, as he has fled to avoid prosecution. The financiera was the vehicle through which the players purchased the Petaquilla stock, at very low prices, having advance non-public knowledge that favorable information would soon be released. 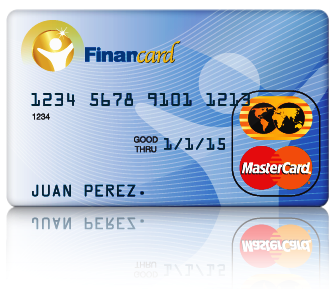 The medium employed: Finangente credit cards, upon which large amounts of funds were loaded, the money then being applied to purchases of stock at Financial Pacific, thus avoiding any direct banking transaction records, connected to the purchases. In addition to senior PEPs, and then-President Ricardo Martinelli, there were a number of known organized crime figures who traded upon the inside information, selling their newly-purchased stock just when the price peaked, in the aftermath of the release of favorable information about the Petaqiilla Panama gold mining project. Criminal investigations, into the insider trading scandal, are progress in the United States, Canada & Panama. Note regarding Country Risk: Before you assess the Hashemite Kingdom of Jordan as low risk for CTF purposes, kindly be advised that, last month, Israeli security services identified a terrorist financing pipeline for Hamas, that flowed through Jordan, to lawyers in the Palestinian Territory of the West Bank (Judea & Samaria), who moved the money to Hamas agents there. Hamas has been financing the terrorist activities of Palestinians in the Territory, which is governed by the PA, but dominated by Fatah, is attempting to expand its influence there. There have been a number of arrests, of Hamas agents, in this area, in 2015. (4) The Western Union network in Jordan. Significant funds were wired, using Western Union, to Western countries, including the United States then broken up into small amounts, and wired into Jordan. Amid the recent reunification talks, which will resume on May 15, between representatives of the Republic of Cyprus, and the Turkish sector, the Turkish Republic of Northern Cyprus*, occupied since 1974, an easing of border restrictions has occurred. No entry card will be required for visitors arriving from the Republic of Cyprus. I know that there were honorable intentions, on the part of politicians from both sides of the border, but they have, unfortunately, created an opportunity for financial criminals to transit from one side to the other, without leaving a record that they have done so; money launderers love to exploit those types of loopholes. * Only Turkey recognizes Northern Cyprus as an independent entity. The United Nations regards it as occupied territory, as does the EU.